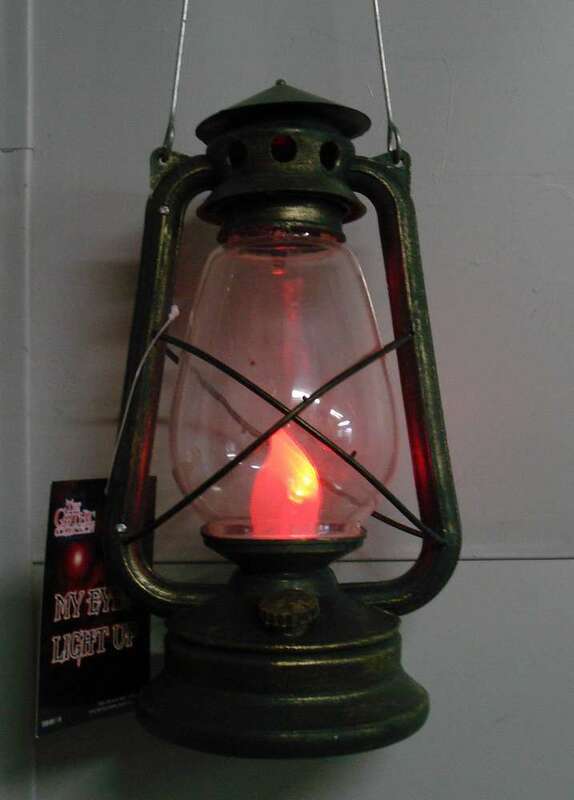 Old rustic lantern with flickering bulb. Great as a Halloween prop or decoration! Carry it around with you on Halloween! Size 13" x 7.8" x 6". Requires 2 AA batteries (not included).